The family of an honorably discharged veteran may be entitled to a number of benefits. Our funeral planners can assist you in acquiring, completing and submitting many of the required forms and documents necessary to obtain your burial benefits. These benefits include a military funeral honors ceremony at a funeral or memorial service, a burial flag, burial at a national veteran's cemetery or a monetary benefit towards burial at a private cemetery, and a veteran's cemetery marker. Our staff will work with the Veterans Administration to assist you in obtaining these benefits. 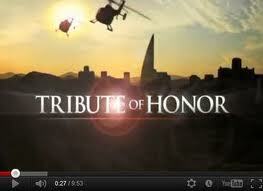 Our funeral directors will assist you with arranging this special ceremony through a local veterans’ organization. Please click the links below for more information. The Department of Veterans Affairs provides a government headstone or marker for any eligible veteran at no cost. Flat bronze, marble and granite markers are available, along with granite or marble upright monuments and bronze plaques to mark the inurnment of cremated remains. The style of marker selected must meet with the approval of the cemetery in which it is placed. 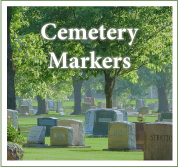 Our staff will assist the family with ordering the marker and placing it in the cemetery of their choice. All honorably discharged veterans are eligible for a United States burial flag provided at no cost by the Veterans Administration for their funeral or cremation services. The flag will drape the casket or accompany the cremation urn. It is generally given to the next of kin at the conclusion of the funeral service. Our funeral directors will obtain the flag for the family. Our Guarantee to You: Prior to the service, we will match any total price for identical services and merchandise on a current published General Price List by any local funeral home. The same selected services and merchandise must be listed on our own General Price List.